Construction took almost 3 years, from 1987 to 1990. 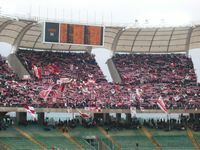 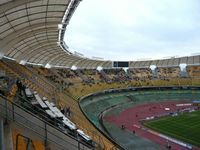 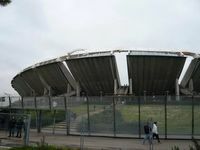 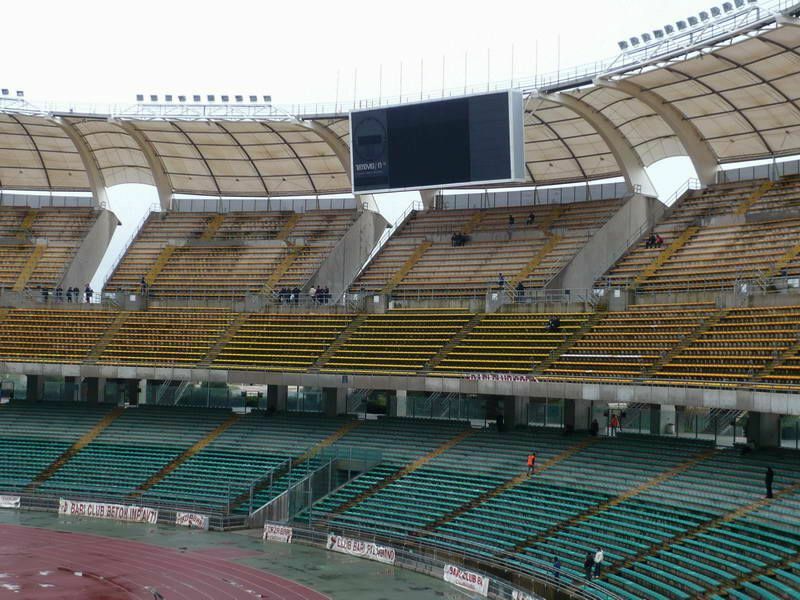 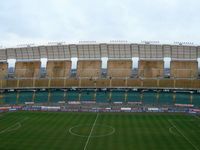 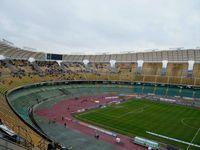 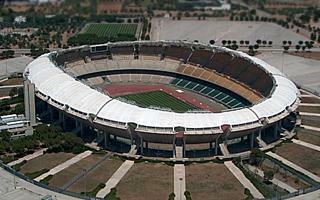 The stadium designed by renowned Renzo Piano is among largest venues in Italy and that happened for several reasons. 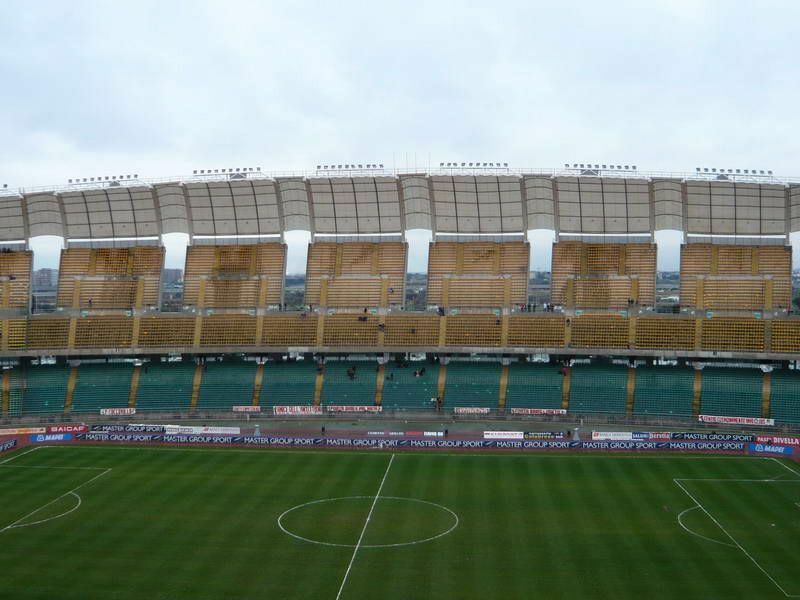 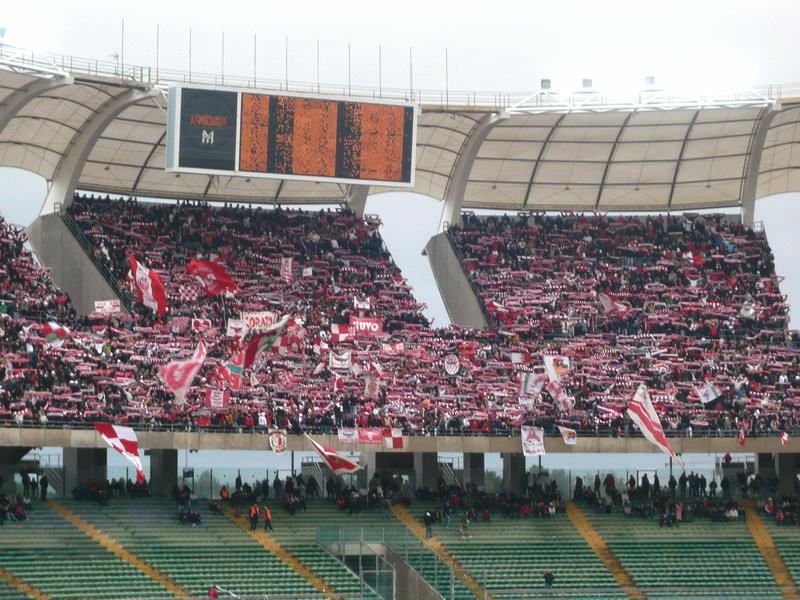 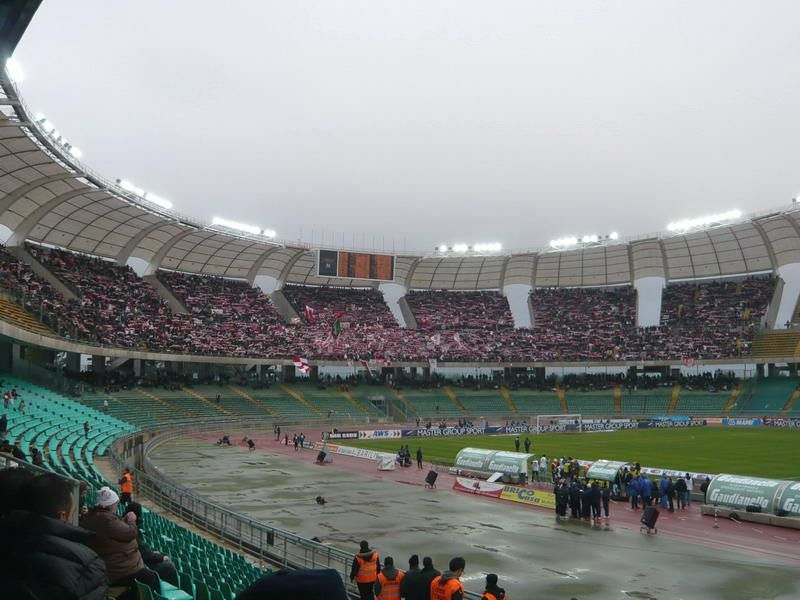 Not that AS Bari, the home side, needed it – Italy did when they won the bid for 1990 World Cup. 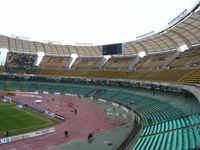 Also, to receive funding from the International Olympic Committee an athletics track was built, even if is used seldom today. 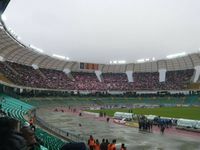 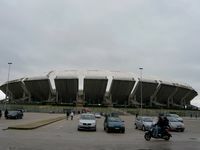 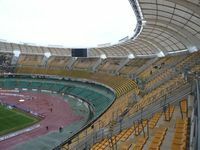 Partial cover helped the Saint Nicolas stadium to earn 4 stars by UEFA’s standards and host Champions League final in 1991, between Crvena Zvezda and Olympique de Marseille. 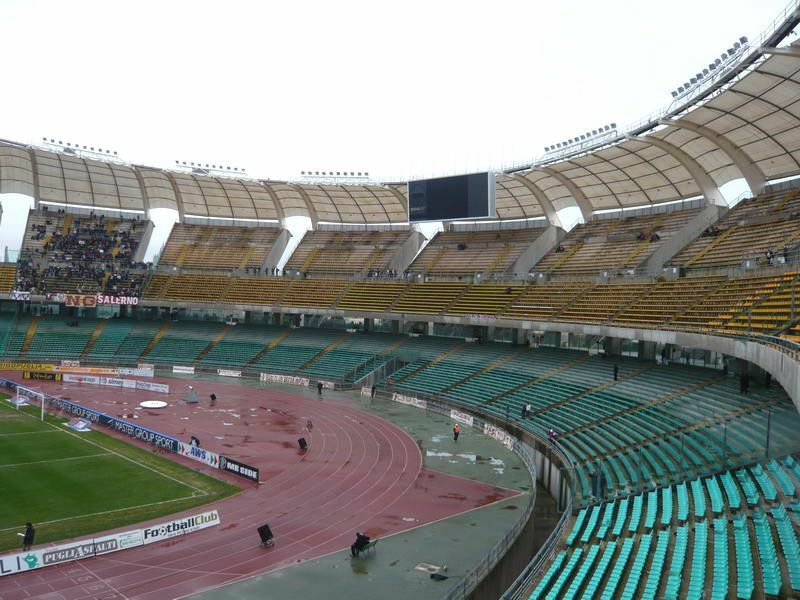 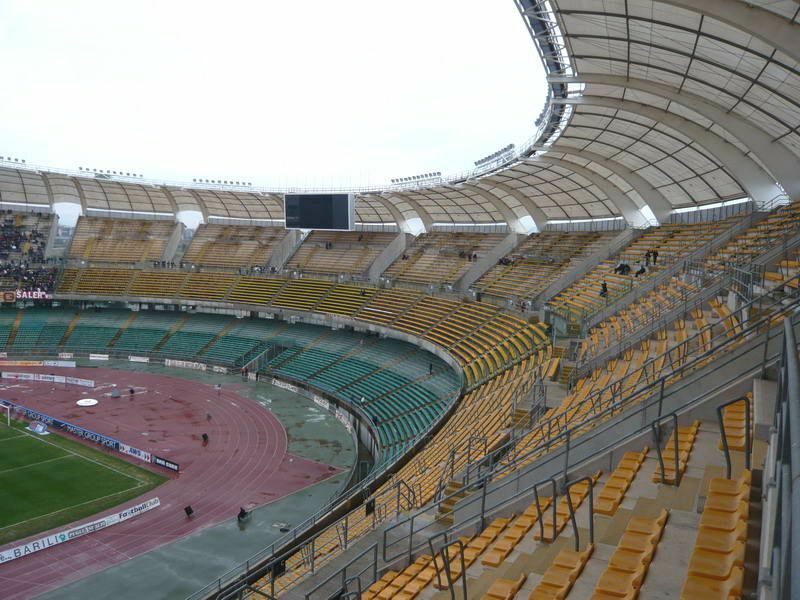 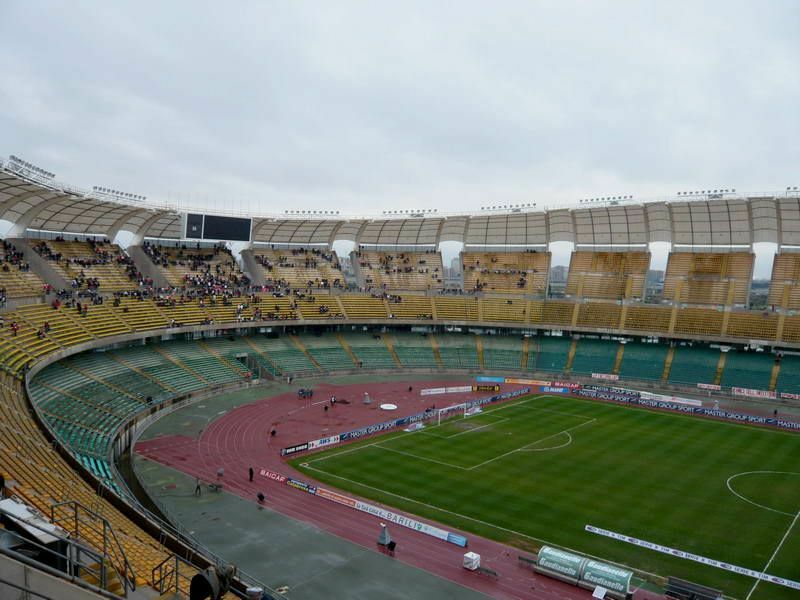 Due to its size it’s also been host of several Italy’s internationals as well. 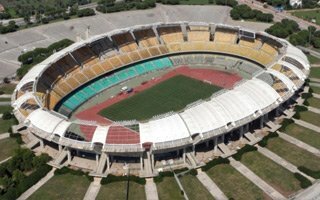 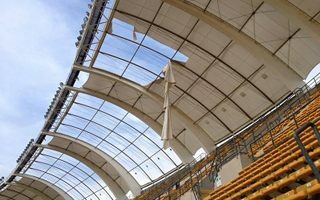 After years of gradual deterioration the monumental Copa 90 stadium is expected to be completely redeveloped. 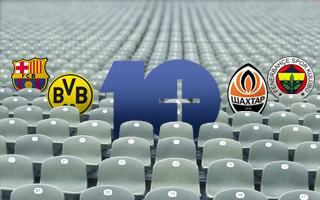 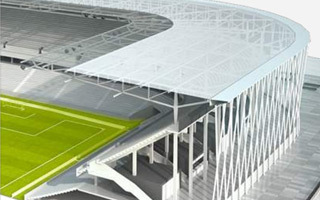 By 2022 it should lose 13,000 seats and move fans closer to the field. 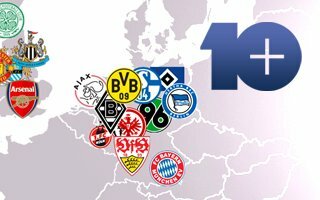 Will this grand plan happen?